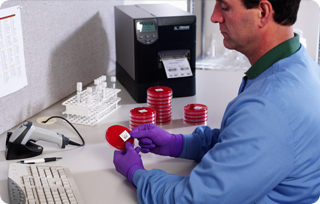 From admissions, to patient care and pharmacy, to specimen collection and materials management, these functions have all seen reduced instances of error, improved productivity and a much higher level of customer satisfaction as result of automating paper and pen-based processes with solutions that include some or all of the above products. RFID is still a challenging concept for the healthcare market, but the technology has been helpful in areas such as crash cart inventory, medication dispensing and stock areas such as freezers and storage cabinets. The other products are mainstays.